32 Commonwealth is located on the south side of Commonwealth, between Arlington and Berkeley, with 30 Commonwealth to the east and 34 Commonwealth to the west. Click here for an index to the deeds for 32 Commonwealth. Lemuel Miles Standish, who built the nine houses with Jonas Fitch and Charles Woodbury, purchased the lot where 32 Commonwealth was built, and he and his wife, Olive (Nutter) Standish, made it their home. They previously had lived at 67 Carver. Jonas Fitch and his wife, Catherine (Blodgett) Fitch, lived at 30 Commonwealth. Charles Woodbury and his wife, Relief (Ball) Woodbury, lived at 91 Pinckney, but then built a new home at 16 Commonwealth ca. 1864. L. Miles Standish served as a member of the Boston Common Council, Board of Alderman, and the State House of Representatives. He represented Boston on the tripartite commission formed to resolve disputes between the City, the Commonwealth of Massachusetts, and the Boston Water Power Company relating to the filling and laying-out of the Back Bay. He died in June of 1888. Olive Standish continued to live at 32 Commonwealth until her death in September of 1900. 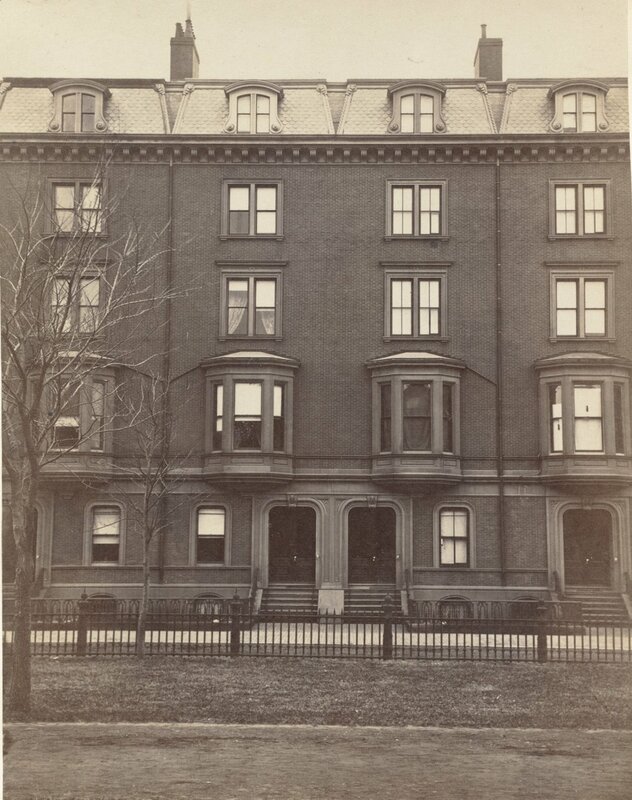 Their daughter, Adelaide Standish, continued to live at 32 Commonwealth in 1901. On September 17, 1901, 32 Commonwealth was acquired from Adelaide Standish and her sister, Emma J. (Standish) Richmond, the wife of Charles Cushing Richmond, by attorney James Lowell Putnam. He and his wife, Eleanor Jay (Robinson) Putnam, made it their home. They previously had lived at 188 Marlborough. 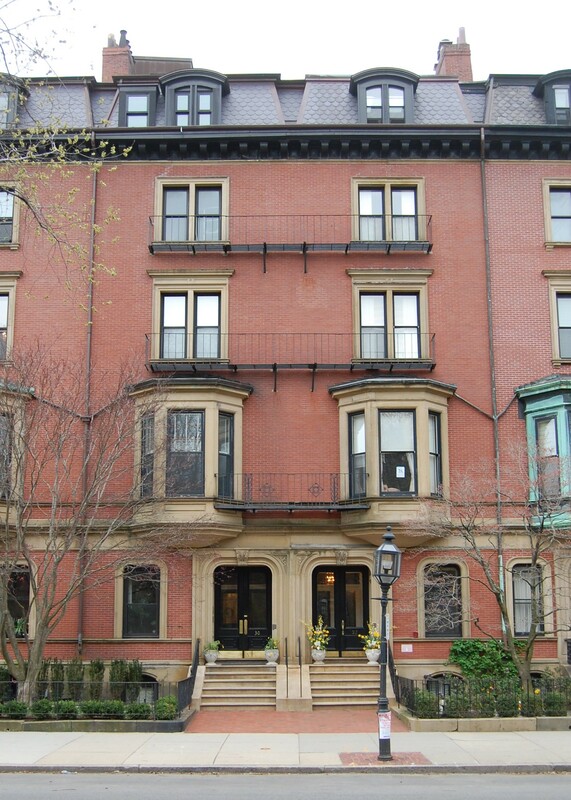 They continued to live at 32 Commonwealth in 1905, but had moved to 125 Beacon by 1906. On May 8, 1905, 32 Commonwealth was purchased from James Putnam by dry goods merchant George M. Preston. His mother, Catherine (Faulkner) Preston, the widow of George H. Preston, lived with him. They had lived at 13 Chestnut in 1905. He married in September of 1908 to Georgia (Carpenter) Lee. After their marriage, they lived at 32 Commonwealth. His mother continued to live with them until her death in July of 1909. George and Georgia Preston continued to live at 32 Commonwealth in 1910, but moved soon thereafter to North Billerica. During the 1910-1911 winter season, 32 Commonwealth was the home of William Vail Kellen and his wife, Ella Frances (Sturtevant) Kellen. 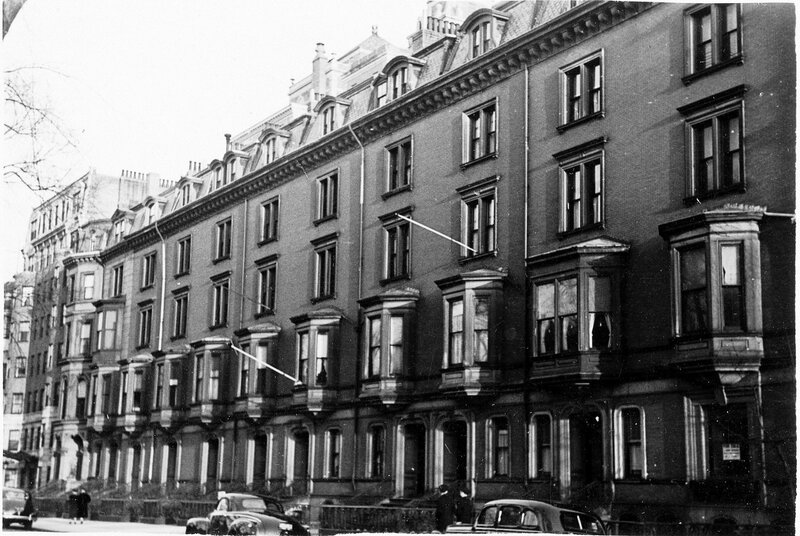 In 1910, they had lived at 342 Beacon. William Kellen was an attorney and also served as treasurer of the B. F. Sturtevant Company, manufacturers of fans and air handling equipment, founded by his father-in-law, Benjamin Franklin Sturtevant. 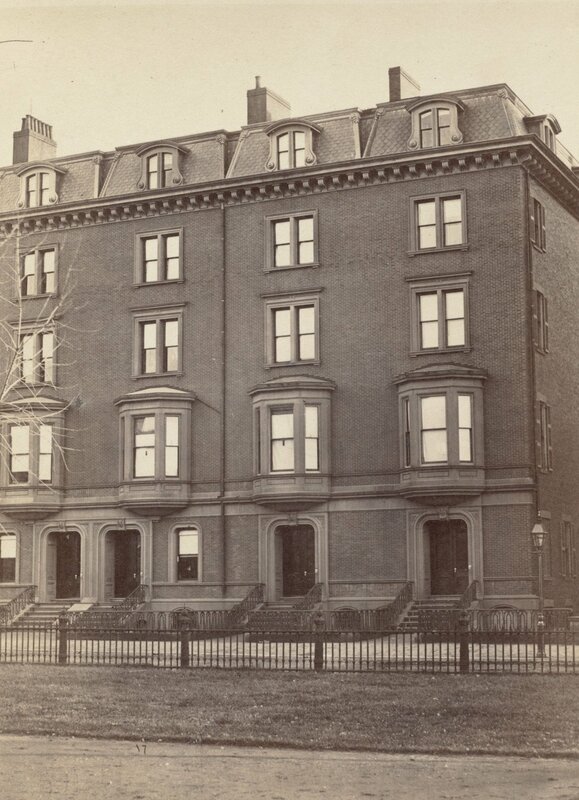 By the 1911-1912 season, the Kellens had moved to the Hotel Puritan at 390 Commonwealth. During the 1911-1912 winter season, 32 Commonwealth was the home of Mrs. Adele Randolph (von Liebrich or Lieberich) Lingard, the widow of Adrian (Adolph) Alexander Lingard, and their daughter, Olga Lingard. She also maintained a home, The Pines, in the Annisquam area of Gloucester. In 1890, she had been named co-respondent in a suit brought by Adeline (Matthews) Harding against her husband, George Franklin Harding, a Chicago attorney and real estate investor. Adele Lingard’s son, Eric Adrian Alfred Lingard, was a student at Harvard. He later joined the Naval Air Corps and was credited as the first aviator ever to defend American soil from direct enemy attack in active combat when, on July 21, 1918, he engaged a German submarine which had shelled a tug and several barges offshore from Orleans, Massachusetts. On August 9, 1912, 32 Commonwealth was acquired by wholesale grocer Frederick Henshaw Pollard. He and his wife, Anne (Durling) Pollard, made it their home. They previously had lived at 23 West Cedar. They continued to live at 32 Commonwealth during the 1913-1914 season, but moved thereafter to Lincoln. They continued to own 32 Commonwealth. By the 1914-1915 winter season, 32 Commonwealth was the home of retired banker John McKibbin, a widower, and his daughter, Emily Wood McKibbin. They previously had lived in Detroit. On February 11, 1927, Emily Wood McKibbin acquired 23 Commonwealth from Frederick Pollard. John McKibbin died in July of 1927. 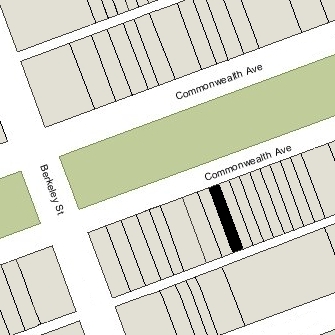 Emily McKibbin continued to live at 32 Commonwealth until her death in March of 1973. On November 3, 1973, 32 Commonwealth was acquired from Emily Wood McKibbin by Gioconda (Castro) King, the wife of investment banker Joseph King. She and her husband lived in New York City and Palm Beach. In April of 1974, she applied for (and subsequently received) permission to convert the house from a single-family dwelling into eight apartments. On December 24, 1992, Gioconda King transferred 32 Commonwealth to her daughter, Diane Barrett, a Harvard lecturer and real estate investor, the wife of Robert J. (Bob) Vila, a contractor and restoration specialist who, from 1979 to 1989, was host of the Public Television series “This Old House” about the renovation of vintage homes. On April 30, 1998, 38 Commonwealth was purchased from Diane Barrett by KP&B Real Estate, Inc. That same month, it filed for (and subsequently received) permission to convert the property into three apartments. 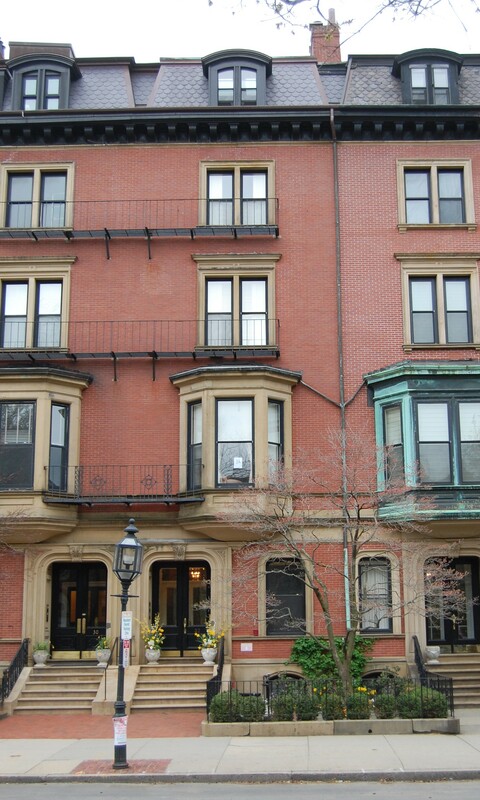 On September 21, 1999, KP&B Real Estate, Inc. converted the apartments into three condominium units, the 32 Commonwealth Avenue Condominium.